By delivering more relevant content, your marketing efforts can achieve far better performances. 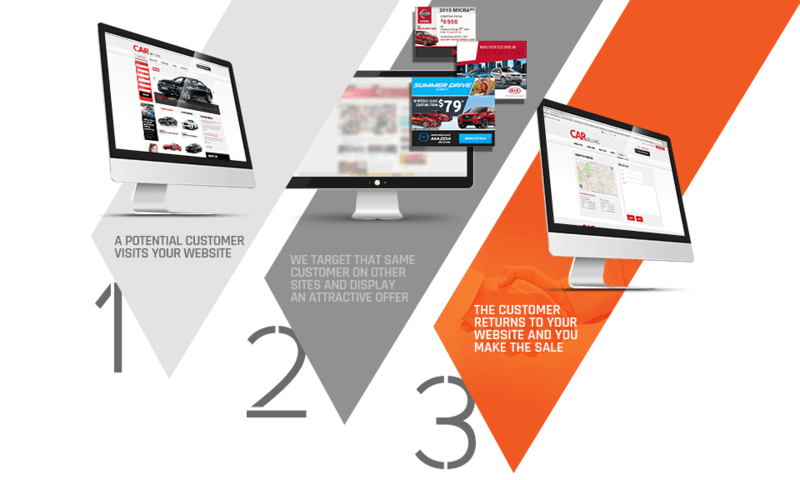 Our technology allows us to collect important information about your clients’ behaviour on your web or mobile sites. We then combine this data with their activity on other sites and applications to custom tailor our message, both on your site and elsewhere on the web. This combination of technology, expertise and data helps increase engagement and benefits consumers by delivering highly relevant and targeted content in real time. By using the data they have on their potential customers, our clients see a significant increase in leads. Thanks to in-depth knowledge of their consumers they can retarget potential clients even after they have left. 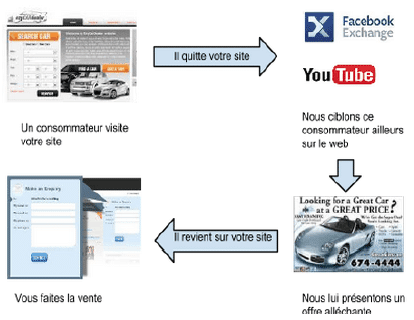 For example you can present product specific ads offering a discount in the 7 to 14 days following a visit on your site. You can also tailor your message on the homepage of your site according to who the user is, even if it is the first time they visit.